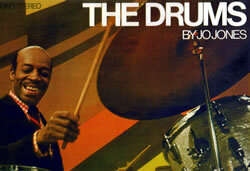 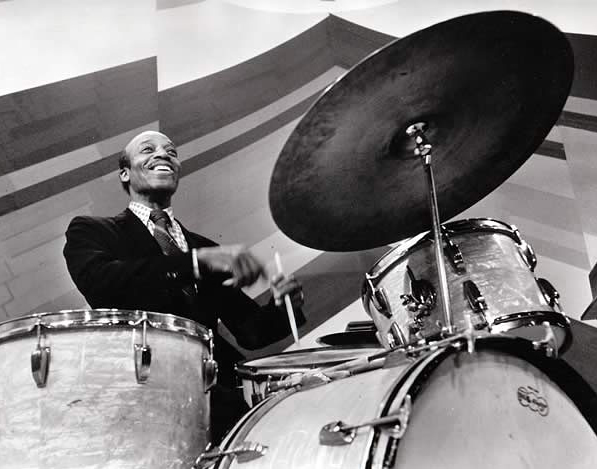 Legendary sessions from the Oscar Peterson Trio with Ray Brown and Ed Thigpen (London, 1964), the Dave Brubeck Quartet with Joe Morello (from the "Look Up and Live" television program of 1958), early 1970s clip of Philly Joe Jones with Sun Ra (!) 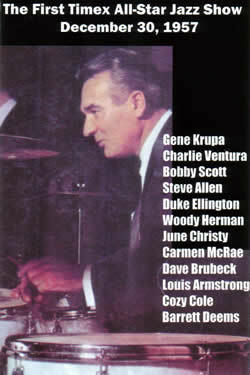 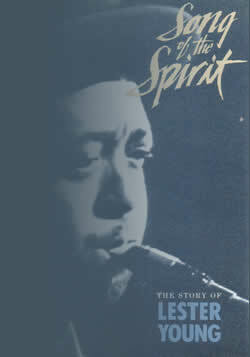 and a long out-of-print Woody Herman session of 1980, hosted by Bob Crosby at Knott's Berry Farm. 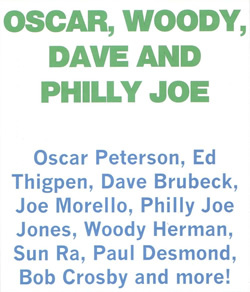 Almost two hours of superb jazz.